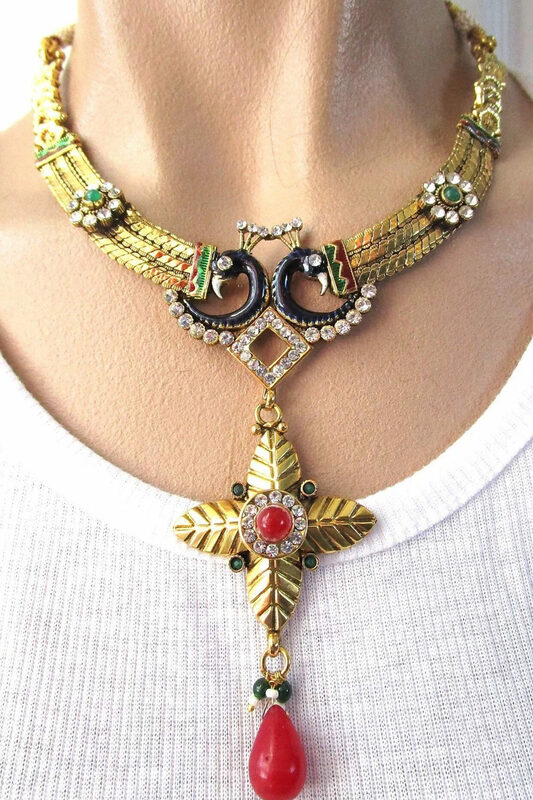 This beautiful necklace is gold tone wtih enameled bird heads and carnelian red and emerald green glass beads and enamel with sparkling ice rhinestones and faux pearls. 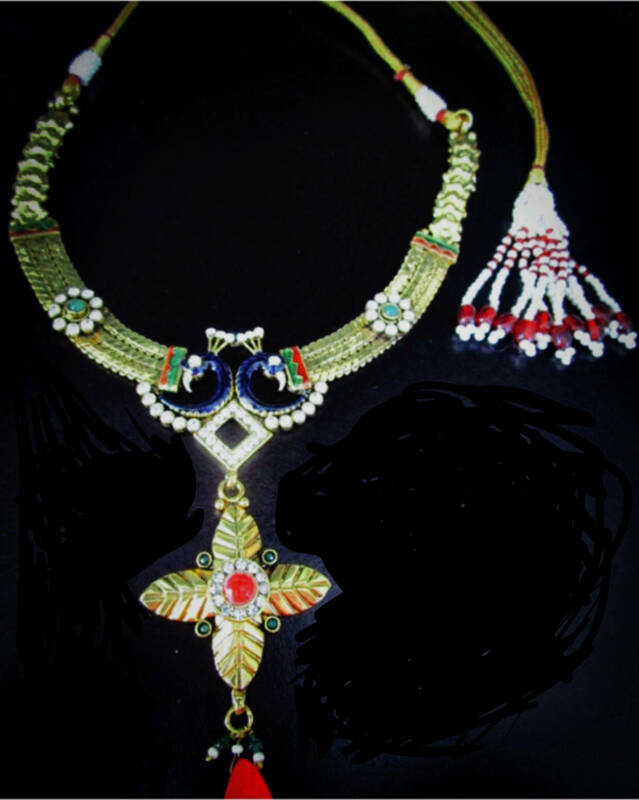 It is adjustable in back with a slider like toggle clasp. Nice piece.